Hive works well for a wide range of different publishers thanks to the simple, elegant design and flexible options. 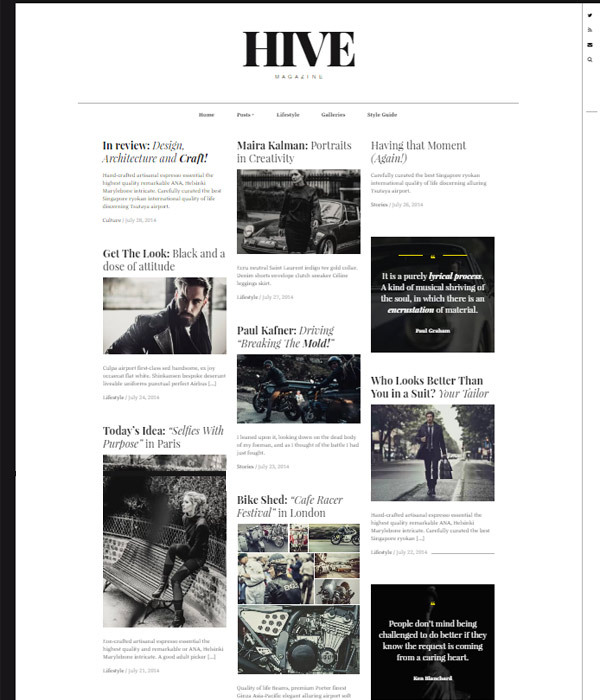 Hive is all about great typography and simple, well designed article pages. 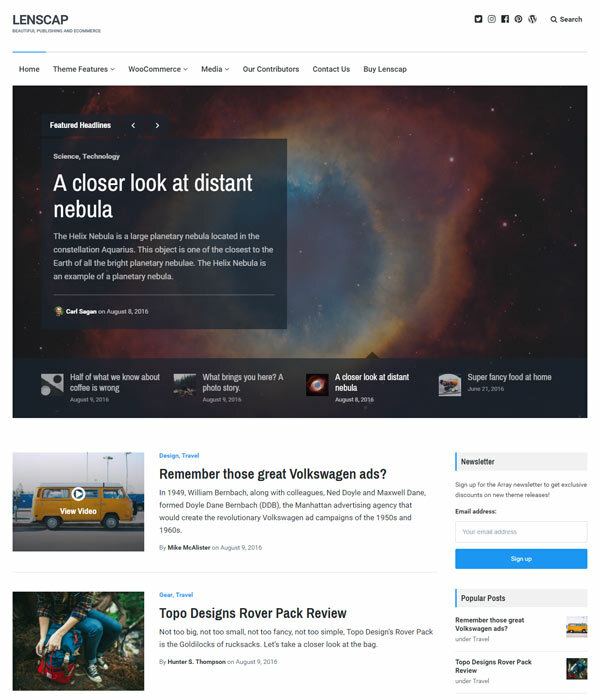 The Voux is an awesome magazine theme by one of the best authors on Themeforest – Fuelthemes. If you take a look at their portfolio on Themeforest you will see just how popular their themes are and I think the Voux is one of their best with nearly 4000 purchases already as I am writing this. 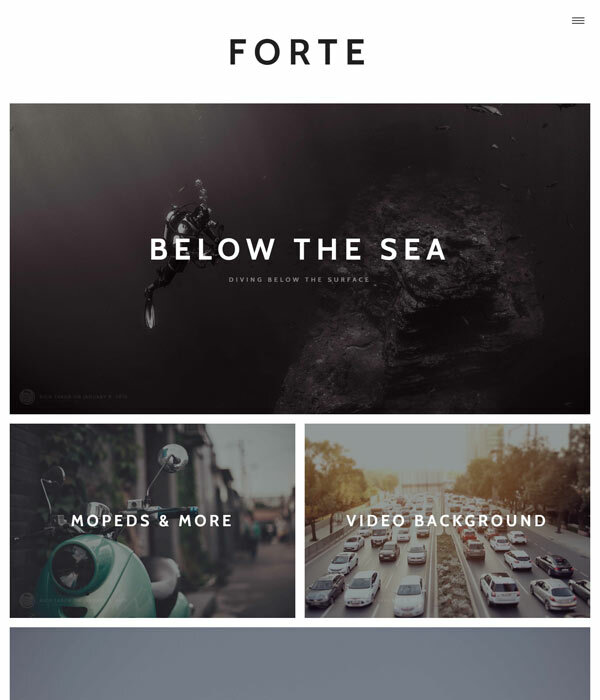 Forte is a simple and modern blog / magazine theme by Themebeans that is great for a wide range of projects. 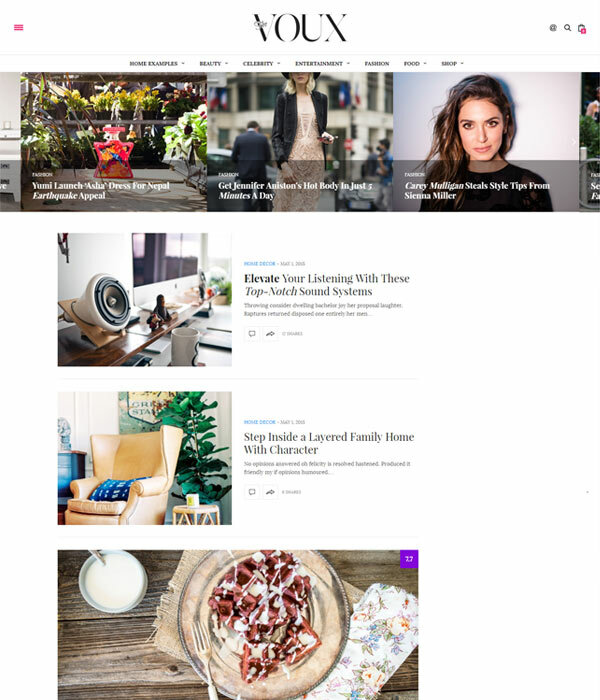 This theme focuses on large images and text and simple, easy to read articles which are perfectly suited for posts with lots of images. Lenscap is a magazine theme by Array Themes, one of best theme providers out there. Array are know for their simple themes which stick to the high standards WordPress sets and not adding unnecessary, non standard features which makes life much easier for you.